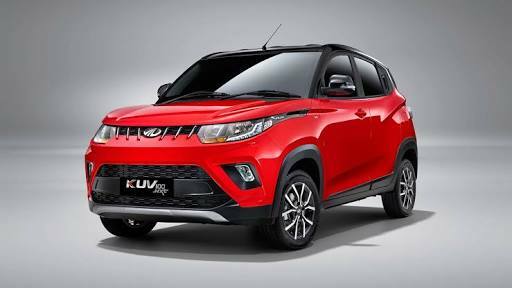 Leading SUV market, Mahindra and Mahindra ventured into the hatchback capacity with its alleged micro SUV – KUV100, earlier this year. Originally, the Mahindra KUV100 hatchback came loaded with the possibility of a hatchback and the bearing of an SUV. With the same character lines and design of its SUV cousin i.e. the XUV500, this time the Mahindra KUV100 offers smart feature of segment such as first 6-seater cabin configuration, 4 Speaker + 2 Tweeter Infotainment system, follow-me-home lights, drive two modes- Eco and Power, cooled glove box, multi-functional steering wheel, and front & rear armrests along with the Micro Hybrid technology of the company. The KUV100 is mechanized by the latest mFalcon range of diesel and petrol engines which are mFalcon D75 and mFalcon G80 respectively. The Mahindra KUV100 has petrol engine of 1.2-litre which has the capability to make high torque of 82bhp and 114Nm and the newly introduced oil burner i.e. mFalcon D75 has turbocharged common rail diesel engine of 1.2-litre that has the capability to generate 77bhp and 190Nm high torque. Its price is up to Rs 4.57 lakh-Rs 7.11 lakh. 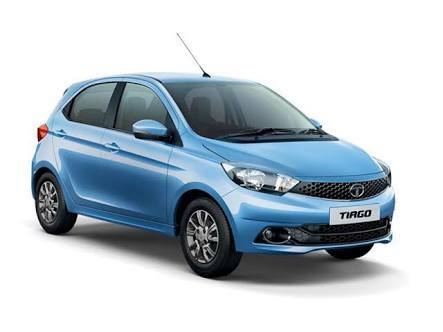 With a great feedback, the new small car of Tata which is Tata Tiago looks encouraging and has laid new standards in the segment with few of the amazing first class features such as multi-drive mode-CITY & ECO and Juke app, among others. Tiago is uniquely captivating and has a comparatively spacious cabin with the better quality material of plastic used in it, as the hatchback is built on the platform of Indica. Mechanized by two new units of 1.05-litre diesel and 1.2-litre petrol, the hatchback is recently offered with an AMT transmission and a five-speed manual gearbox. Its price is up to Rs 3.20 lakh-Rs 5.54 lakh. In order to challenge Maruti Suzuki Swift, Hyundai introduced the Grand i10. The car is powered by the South Korean car manufacturer and is performing really well for them by filling the gap between i10 and i20. Besides its awesome exterior features, the Hyundai Grand i10 also has a spacious cabin that offers height adjuster for the driver, adjustable rear seat headrests, a 2 DIN integrated radio with MP3 player, rear AC vents, steering mounted controls, etc. Only the top-spec trims contain ABS and the passenger side airbag, besides its common driver airbag in the collection. 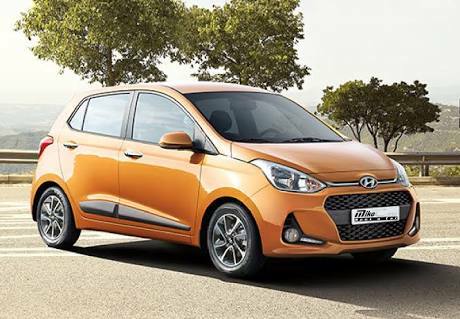 The Grand i10 comes with two categories of engines, such as an 1.1-litre 2nd generation U2 CRDi diesel and a 1.2 litre Kappa Dual VTVT petrol engine paired to a manual gearbox of five-speed along with a four-speed auto box choice. Its price is of Rs 4.86 lakh-Rs 7.12 lakh. 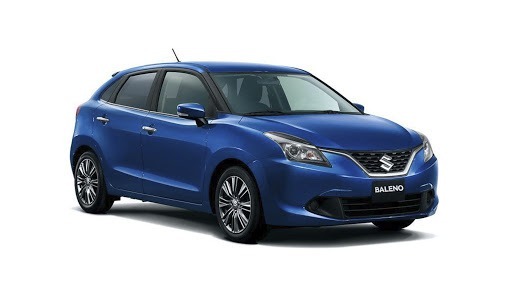 In India, the Indo-Japanese carmaker’s original game changer is the Baleno. Maruti Suzuki Balena has taken inputs from Swift and it was introduced to serve to those customers who wanted to improve version of the old one. The Baleno has been a deal of full package for the customers as it has stylish exterior, smart equipment, and modern design. The hatchback has a spacious cabin which offers Smartphone Connect/Apple CarPlay, Maruti’s SmartPlay Infotainment System, remote control through Smartphone App to name a few high-end cuts. ABS with EBD and Dual airbags is quality over the list, although reverse parking camera is provided just on the leading range categories. The hatchback is mechanized by the 1.3 diesel and 1.2 petrol engines and offers a choice of five-speed manual and a CVT. Its price is up to Rs 5.15 – Rs 8.32 lakh. Maruti Suzuki Swift has been successful in continuously doing well, with a product cycle span of more than 10 years and still comes in a category of top hatchback cars in India. 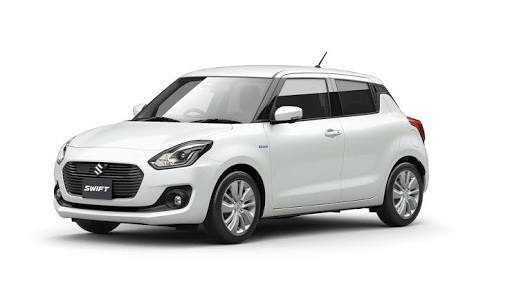 Overshadowed by latest hatchbacks, Swift is planning to do an all-new makeover next year and will shortly get an AMT option in a queue with other leading vehicles. The Swift offers automatic climate control, rear defogger, audio control, and illuminated steering-wheel-mounted Bluetooth, Swift is a sensible option in the B segment. Co-passenger and driver airbags are usual on leading queue variant and non-compulsory on remaining trims. The hatchback generates power from 1.2 litre, K-Series VTVT petrol engine and from Fiat’s famous 1.3 litre Multi-jet engine mated to a manual transmission of five-speed. Its price is up to Rs 4.71 lakh-Rs 7.43 lakh. Similar to its sedan version, the latest generation Ford Figo features the same radiator grille in front. 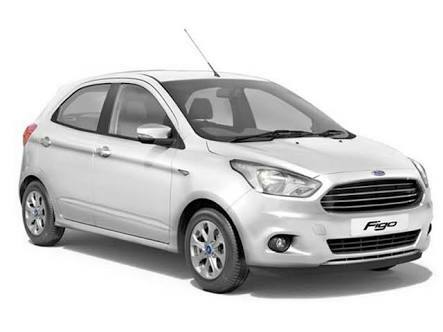 In the Indian market, Ford Figo is Ford’s first prosperous model. Just after this hatchback was introduced, Figo won many awards, whereas slowly its fame faded away after the launch of new models in the segment. Realizing the fact that Figo needs to be upgraded, Ford introduced a new modification of the hatchback with considerable exterior changes, new offerings of feature and three new engines. Co-passenger side airbag is not there on the base variant and ABS with EBD is provided only on the top end variant, though driver airbag is usual on all trims. Category of engines includes 1.2 litre & 1.5 litre units of petrol along with 1.5 litre units of the diesel engine. Its price is up to Rs 4.46 lakh-Rs 7.60 lakh. Honda Jazz’s model of the previous generation was removed from the Honda’s array because of lack of diesel engine and its high price, but it was not the end of Honda Jazz. The modal made its appearance yet again, but this time with so many improvements which developed concern for its rivals. 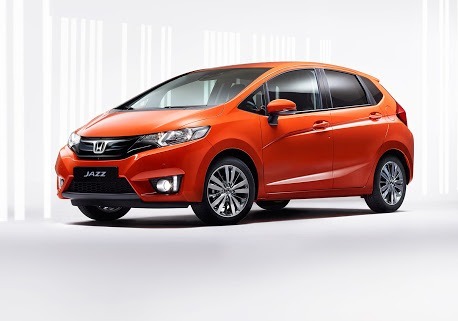 Honda has taken inputs from City saloon and has made an addition of key styling to its exteriors. If we talk about the inside, this hatchback has ample space for the occupants, just like its earlier model. One of the vital additions made to Honda Jazz is the 1.5-litre i-DTEC diesel engine paired with a manual unit of six-speed. On the other hand, the 1.2 litre, i-VTEC petrol mill offers the choice of a CVT missing in the diesel variants. Its price is up to Rs 5.59 lakh-Rs 8.99 lakh. 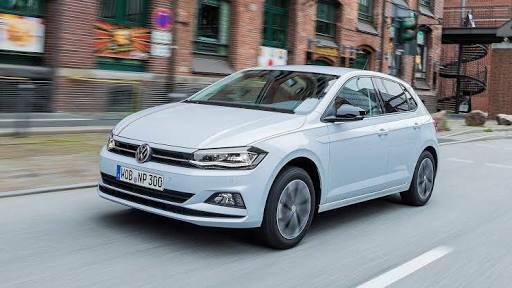 Volkswagen Polo is one of the first models of German automaker for India and that’s one of the reasons for it being famous among the customers. Polo is a car with so many stunning features and it comes with the option of two engines i.e. a 1.2 litre, three-cylinder MPI petrol engine and the latest downsized 1.5 litre, four-cylinder array of diesel powertrain paired with a manual transmission of five-speed. Its price is up to Rs 5.33 lakh. 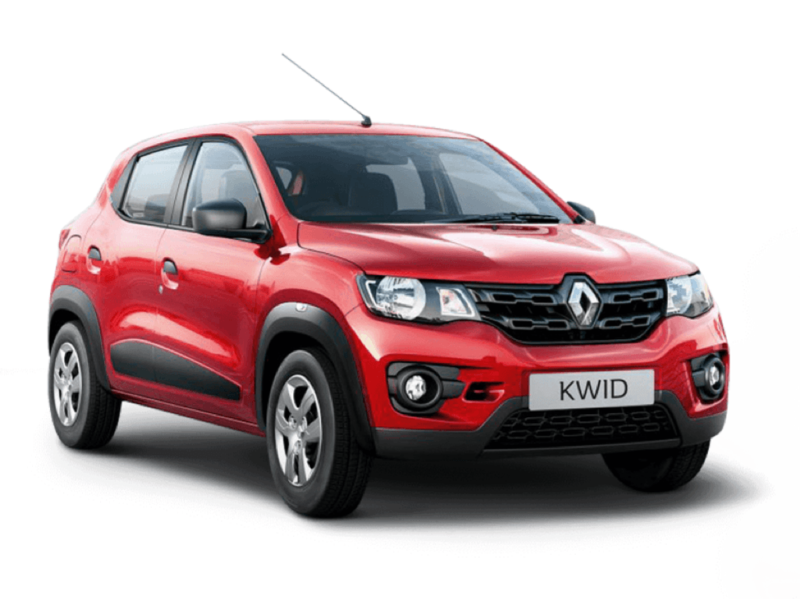 Renault genuinely changed the figure of the entry-level car space with a small car of Kwid. The Renault Kwid is established on the carmaker’s new CMF-A platform and the hatchback is well-designed, well-equipped and stylish too. In the category of some of the best in class features, the Kwid offers features of 300-litre boot space, touchscreen infotainment system, a spacious cabin as well, 180mm ground clearance and digital instrument cluster. Its price is up to Rs 2.65 lakh-Rs 4.59 lakh. Being included in the B+ segment, the Hyundai hatchback raised its standard with its latest Elite i20 which has been put on the philosophy of Fluidic Sculpture 2.0 design. 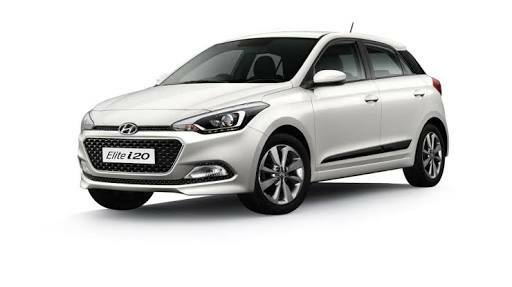 Exterior style of Elite i20 is alluring with shiny long pulled back headlamps and front grille of hexagonal shape. This hatchback is well-known for its awesome cabin which is spacious and well equipped with a multi-functional steering wheel, keyless entry with engine start/stop button, touchscreen infotainment system that makes it a deserving party of best hatchback cars in India list. Powered by engines of a 1.2 litre Kappa dual VTVT petrol and 1.4 litre U2 CRDi diesel unit, both are paired with a manual of five-speed and there is a choice for a manual of a six-speed unit as well, which is offered just on the diesel range. Its price is up to Rs 5.55 lakh-Rs 8.80 lakh.